Wasn't that COOL!? I want to "gift" it to you! 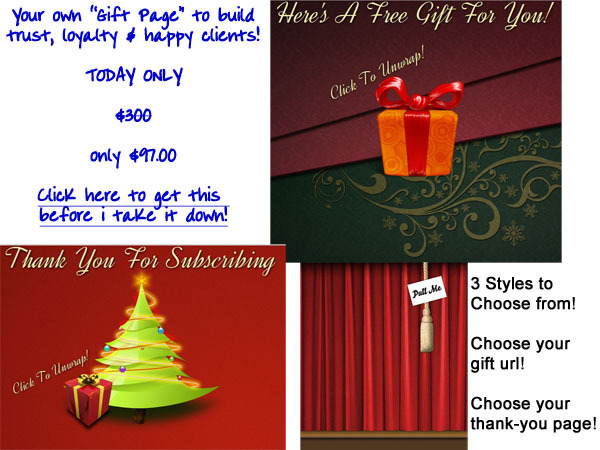 You can use it for birthday gifts for clients, new email subscribers, holidays! Click play on this video... ...don't forget to comment below too, and click here to get your own "gift page" for 70% OFF (only $97 instead of $300, that's what I was saying when the video cut off)! Where can this be integrated. I use the Spaboom e-mail marketing. Seems original and I’m looking for marketing ideas. Hope you ENJOY, I Love this! Neat! So how do I get it on fb post or do I have to actually email to my people? Previous post: Salon Spa Staff Problems!